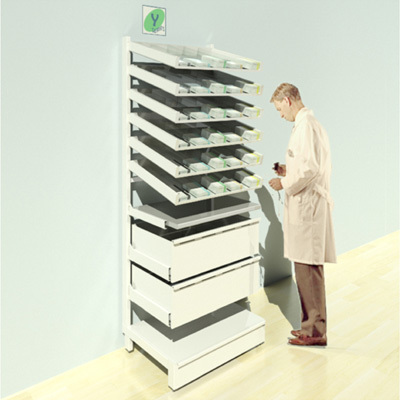 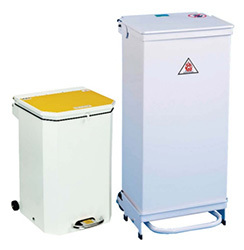 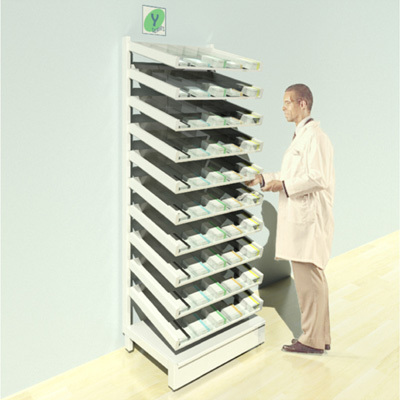 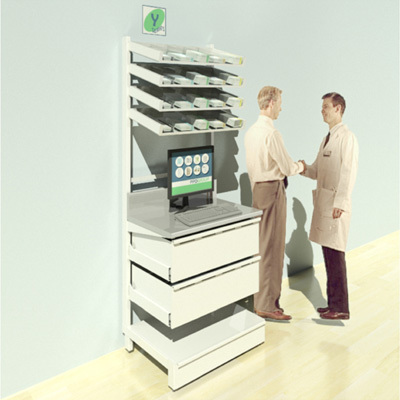 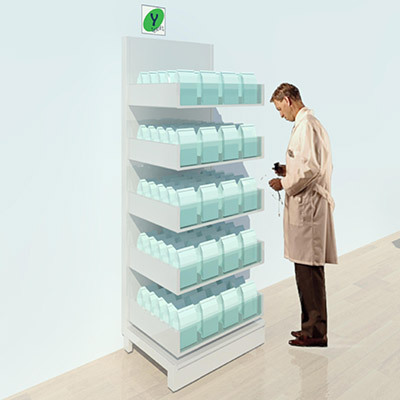 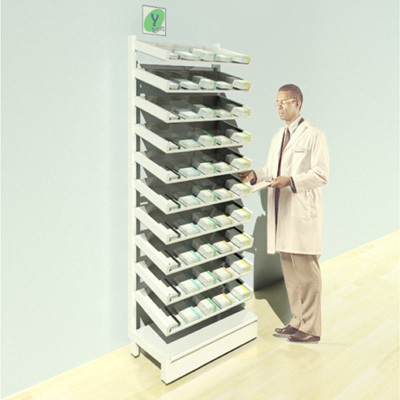 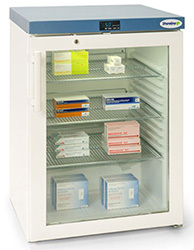 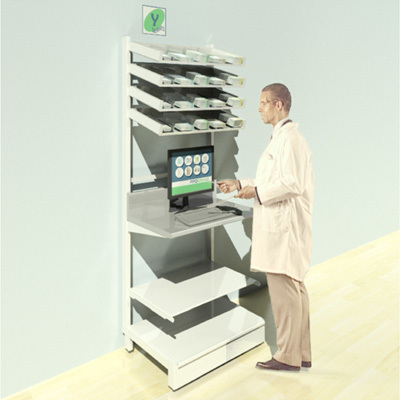 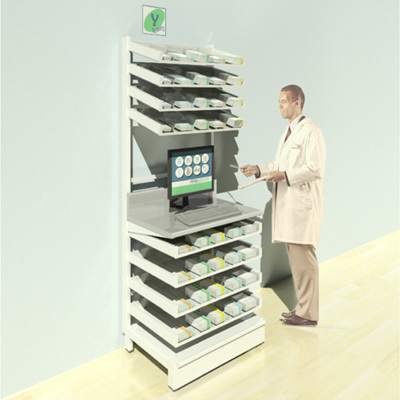 The variety of components in Y Series provides a wide range of solutions for your pharmacy storage requirements. 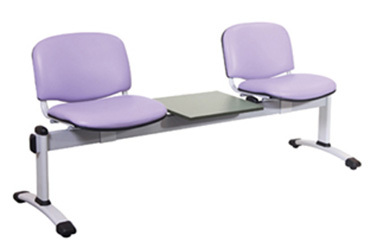 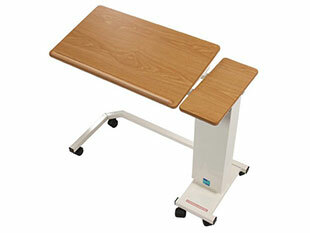 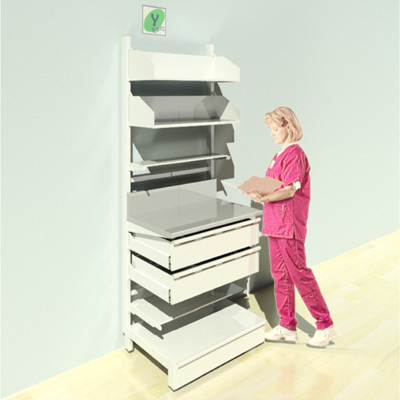 The components include shelves, drawers, work surfaces, bin racking, monitor brackets, bookshelves and much more. 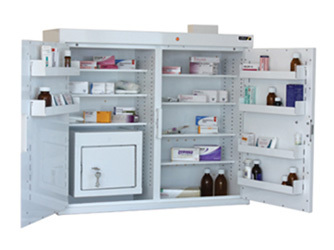 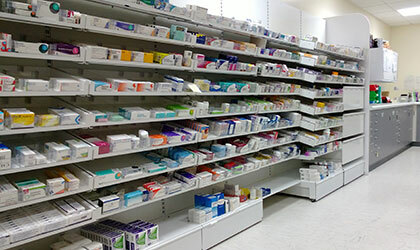 Customised pharmacy shelving assemblies can be assembled to suit the individual requirements of the user; below we have listed our most popular pharmacy shelving setups. 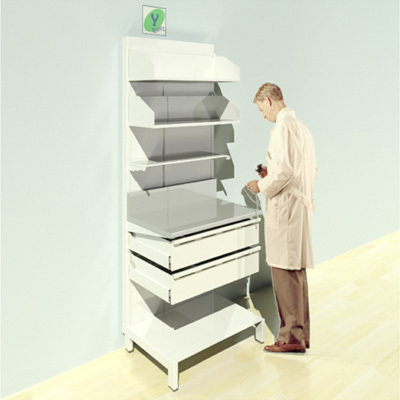 Easy to assemble and install with minimal tools required. 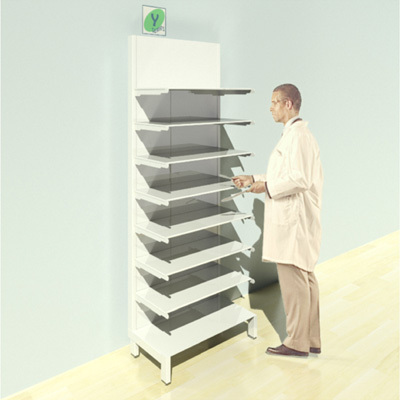 Pullout shelves have clear fronts increasing the visibility of products. 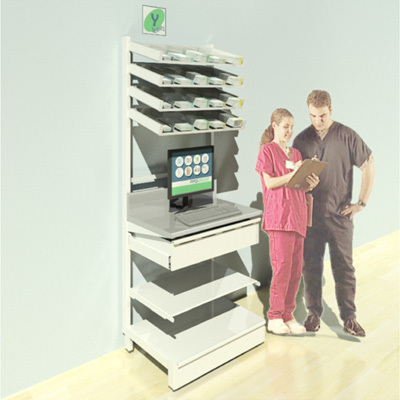 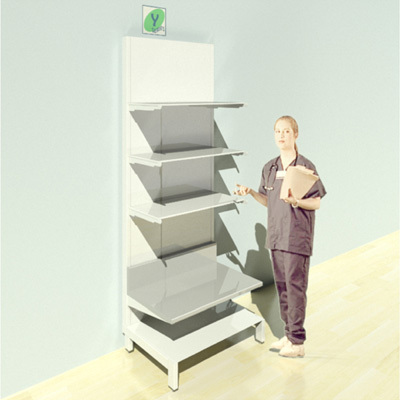 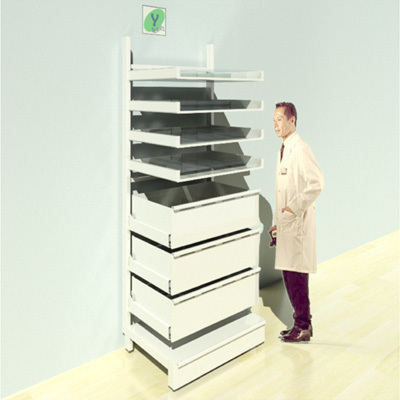 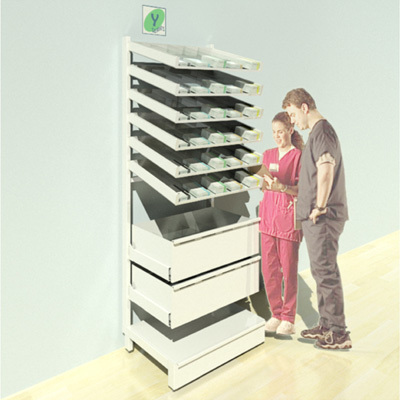 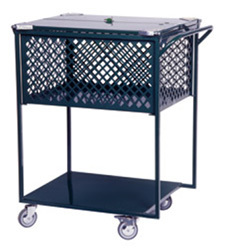 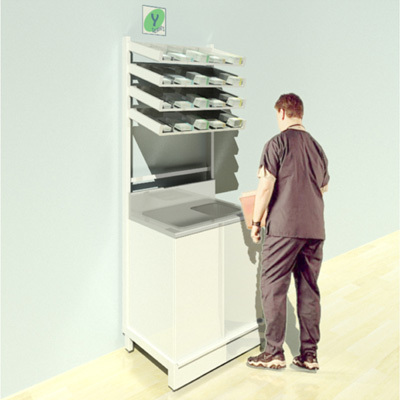 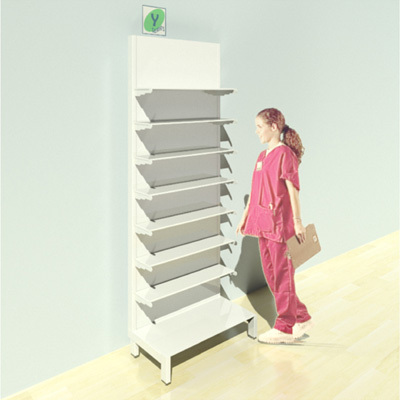 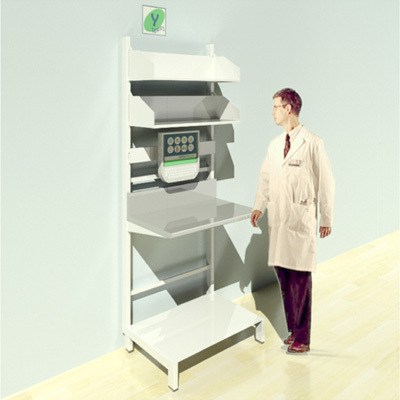 Sloping pullout shelves assist "First In First Out" medicine storage principle. 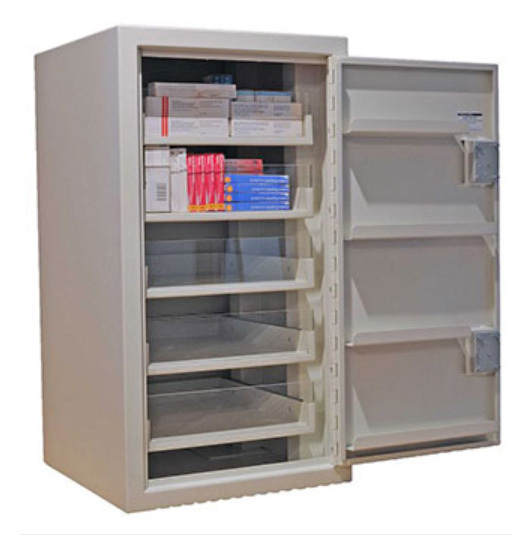 Deep drawers for bulkier items. 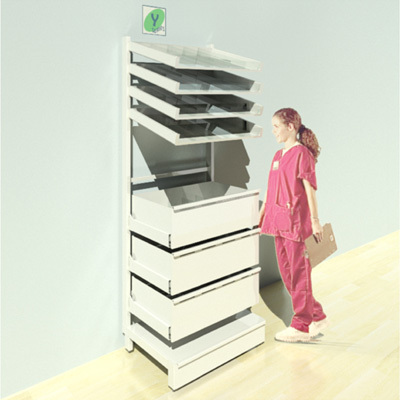 Plinth drawers for additional storage.